London: Baldwin & Cradock 1831. Steel engraving, printed area 365 x 300mm. Original outline colour. Some spotting. 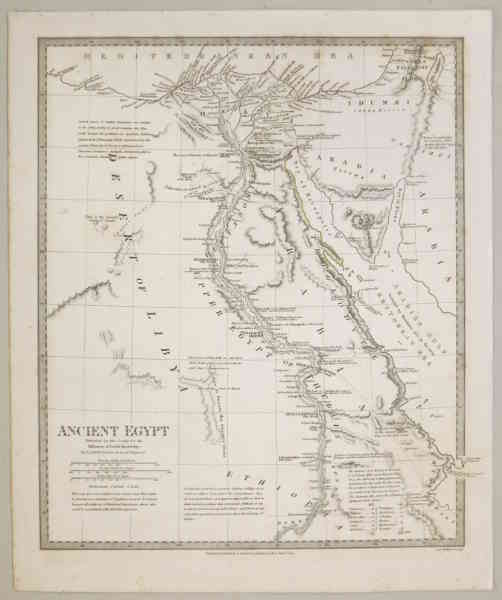 A map of Ancient Egypt, compiled by G. Long, professor of Greek at London University, showing the Nile down to Philæ.